Are you looking for the best baby strollers, prams and push chairs for child? If so you’re in luck because we have tons of reviews and tips for purchasing your next baby vehicle! Hi, I’m Lauren. Welcome to Busy City Mum where I help people like myself find the right city prams and strollers. Here on busycitymum.com you will find reviews of strollers, pushchairs, and baby prams that are perfect for life in the city. I will show you exactly what you need to look for when choosing the best city stroller for yourself. Not sure which stroller to buy this year? Here is a list of the best strollers of 2019. How do I find the right push chair? To help you with that, I have created a guide about how to choose the right baby pram that shows you all the things you need to know about prams. Here you will learn about all the types of prams on the market and what to pay close attention to when choosing the right pram for you. Do check it out! In my search to find the absolute best stroller that fits my urban lifestyle, after reading and doing tons of research, speaking to other mums and trying them myself, I have narrowed it down to 3 strollers that offer amazing quality for the price. To make the best choice and find the right stroller for you, you will need to compare the best strollers and take into account their pros and cons. There will be a stroller that is a 100% fit for you so pay attention to the details and you’ll come as close as possible to finding the dream stroller. Here are brief reviews of the 3 best City Strollers to give a quick overview. For further reading, I have written a more comprehensive, in-depth review of each stroller listed below. Make sure to read them to learn more about these great strollers. 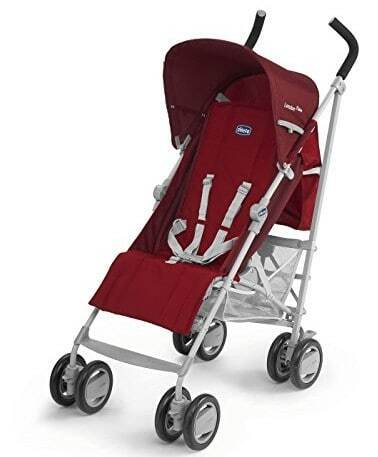 First on the list is the Chicco London Stroller (Red Wave) – an extremely versatile stroller which combines comfort, child protection and functionality. You can see this compact umbrella stroller everywhere on the streets of London and it’s no wonder; the Chicco London Stroller is a sturdy, nice looking buggy that gives you great value for money. This stroller is suitable from birth. However, I would recommend to start using it only when your child is at least a few months old. On the other hand, you can probably keep using even after your toddler has past the recommended maximum age of 3 years as it is suitable up to 15kg. Bought this for the sole purpose of a holiday and now use it as my everyday stroller! It’s light weight makes is very easy to use and move around. To further enhance the maneuverability, the front swivel wheels can be locked in their position for increased stability and all wheels have a perfectly adjusted suspension for a comfortable, smooth ride. Comfort has been a big focus for the creators of the Chicco London Stroller – that is obvious. The padded handles add to your own comfort as a parent while a comfortable and generously sized foot muff in fleece wraps your child in a protective cocoon that not only prevents the chilly winds to penetrate his clothes, but helps your baby sleeping. The leg rest can be adjusted, as can the backrest. In fact, the backrest can be adjusted to one of four different height settings – all to make the ride as welcoming as possible to young toddlers who normally might dread the stroller ride because of bad past experiences with hard seated strollers. You won’t face that issue with Chicco London Stroller! A true umbrella stroller. 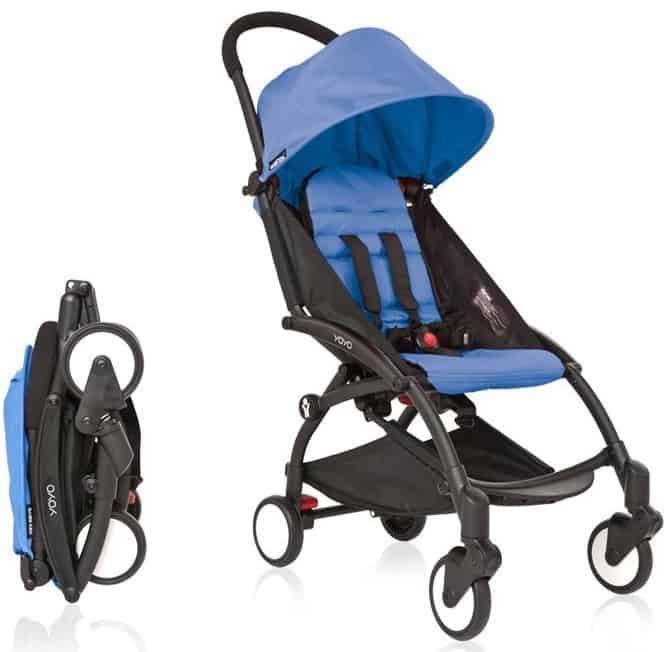 As often with good umbrella strollers, the Chicco London Stroller folds down fully to an ultra compact mobile stroller that is easy to store at home or carry with you at the back of your car. Despite it’s low weight, it is very safe and comes with a 5-point, fully adjustable safety harness as standard. In addition to that, a double safety system prevents accidental closure. As a parent, I can safely say that keeping your child in this stroller makes you calm because you know he won’t fall out and injure himself. Finally, it comes with a generously sized storage basket to fit all your baby gear and shopping, plus a fully protective rain cover. The second stroller on my list is a stroller that has become know as the handbag stroller thanks to its small size. It is so small that you can take it practically anywhere and, perhaps most famously, it fits in the overhead compartment in a plane. But the Babyzen YOYO has more to offer than just being small. It is also stylish and a little bit of a status symbol. For a City Mum like myself, the Babyzen YOYO is also a symbol for the modern urban life as a mother: it’s swift, fearless, but always pleasant on the eye and ready to conquer the world. Most compact stroller ever imagined! Because it is small, it handles very well thanks to its slim body. Despite that fact that there is little weight pressing down on the wheels (only really your your child’s hard earned pounds), the wheels have a reliable suspension. Although the wheels are quite small they offer at the same time a surprisingly solid support. There is no need to worry about a wobbly ride when pushing this stroller around the streets of any major city. That being said, this is not a countryside stroller but very much adapted for life in the city. The Babyzen YOYO is fitted with a one-hand fold mechanism. This function allows you to hold your latte in one hand and fold the stroller with the other. To carry it with you once folded, you are given a handbag that allows you to pop it over your head and carry it on your shoulder. Why is this such a good stroller for the city? Well, mainly because it is so light so that you can easily lift it up and put it anywhere even on the most crowded buses and tubes. But also, it is not wide at all, only 44cm across, which makes it fantastic for shopping. You can outmaneuver tourists, young agile shopping crazy teens, and more importantly, other mums. This thanks to it’s nimble, feather light chassis. The Babyzen Yoyo is a classy, pretty, easy-to-handle city stroller that also gives your child an ergonomic way of travelling without compromising on comfort and usability. Third, but definitely not least, on my list is the mighty Maclaren Globetrotter Stroller. The Globetrotter model is a slightly more advanced version of the Volo model from the same company. The difference is that the Globetrotter is fitted with seat that is reclinable whereas the Volo isn’t. This stroller has also become a favourite among celebrities including Spider man actor Tony McGuire and ex-spice Geri Halliway. It looks good with its black, cool/casual colours and simple design. At 5kg, it is the lightest stroller from Maclaren. It is suitable for children from the age of 6 months all the way up 24kg(!). Needless to say, to support that sort of weight and yet being light requires good material and clever design. And that’s what this stroller is about; quality. Out of the three best city strollers, this one is the most reliable in terms of overall quality. How about the folding mechanism? The Maclaren Globetrotter folds together easily although it is not a one-hand-fold. Located underneath the seat you’ll find the folding mechanism that you can nudge upward using your foot to push the lever located on the right, while pushing the handlebars down and forward. Done! 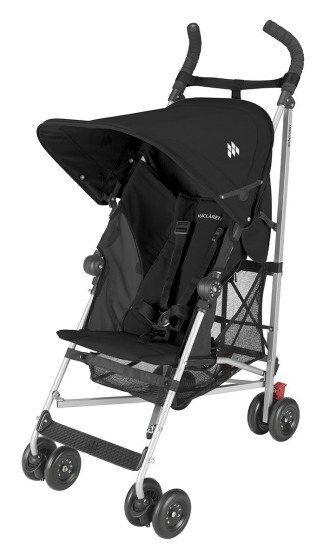 The Maclaren Globetrotter is first and foremost a travel stroller, with its durable fabric and light weight. However, these are important features for the city mum like myself who live in an overcrowded and polluted metropolis. Here in London you need a reliable stroller like the Maclaren that, as the names suggests, is prepared to be taken on the move and encounter harsh conditions. It is good for travelling outside London as well, of course, thanks to it simple yet reliable and functional design. Overall, this is a well-rounded stroller that is light and good looking enough to fit any mother. If it’s good for the celebrities, it’s good for you too! How do you Pick the Best Baby Stroller for the City? There is no one stroller that works for everyone simply because we all have different needs. Some have a lot of storage at home where they can fit a pram of any size, others have limited space and need a smaller stroller. Some parents need to fit two babies, others parents only need a single stroller for when they go on holiday. The good news is that there is a stroller for everyone and they come in all shapes and forms. Strollers also vary a lot in price. Do you know already how much you are willing to pay for a stroller? 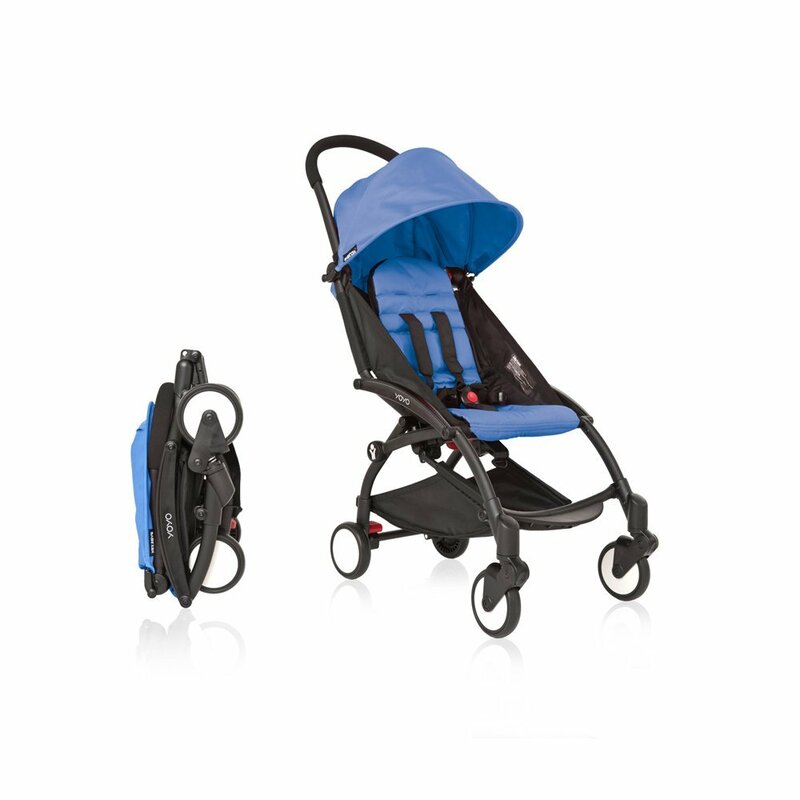 On busycitymum.com you will find strollers that cost that range from £50 to £1000. So, start by asking yourself what type of baby stroller you need. When buying a pram for the first time I would recommend a pram that is convertible and versatile. This way you can keep it until your child is about 3-4 years old, at which stage you can replace it with a cheaper stroller. 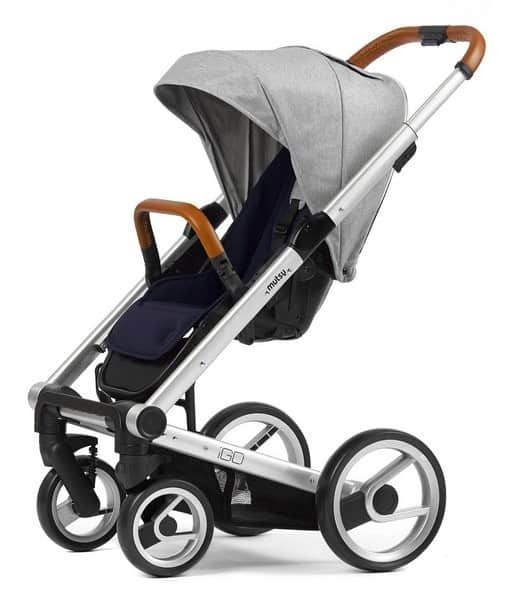 » Pram – Suitable is for newborn babies who need a steady ride and sturdy surface to sleep on. » Coach Built Pram – Old school styled prams that don’t fold. Perfect choice for the stylish. » Tandem Pram – For more than one baby. Can hold up to 8 children. » Pushchair – When your child is old enough to sit up and hold his/her head up. » 3 Wheel – Usually with air filled tires. Great for off road. » Stroller – Suitable for toddlers and young children. Strollers are often lighter and easy to bring with you. » Jogging Stroller – For parents who like to stay fit and take the baby for a walk at the same time. » Light Weight – For when you are on the move and need something easy to carry. What makes a good baby stroller? It might sound obvious but the thing that matters the most is that you and your baby are comfortable and happy using the pram on a daily basis. For me it was all about space – London doesn’t really allow for large prams unfortunately. If you are uncertain about which of these point matters the most to you, I suggest you read all the reviews and guides here on busycitymum.com and make a check list of all the things that you find relevant to you. By doing so you can eliminate things that you find less important. Here is good video of the BABY JOGGER City Mini Stroller. Would this one work well in London? I would say absolutely. Perhaps you think the look of the stroller is crucial and you have some cash set aside to invest in a beautiful pram. Or you might want to get the best possible deal available online for a very specific type and model. Whatever it is you are looking for, I hope you can find it here. If you would like me to review a specific stroller, please contact me. Don’t forget to check out my blog where I write about all the other things that interest me: fashion, design, organisation and how to be a mother and career woman at the same time.